WOW. 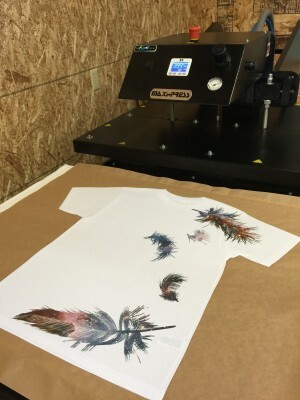 So this is exciting: we are now able to print custom apparel! And just about anything else you might want an image on! Yeah – you read that right. 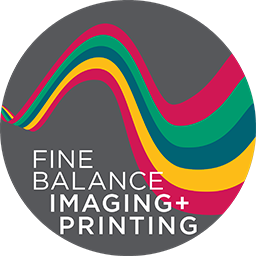 Here’s the deal: we’ve been testing our dye sublimation printer so we could launch Metal Prints on Your Print Studio, as well as here locally in our design and printing studio Fine Balance Imaging. 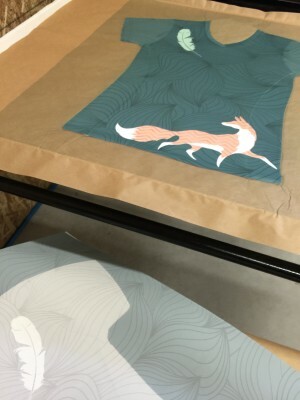 But then it dawned on us – we can make SHIRTS! 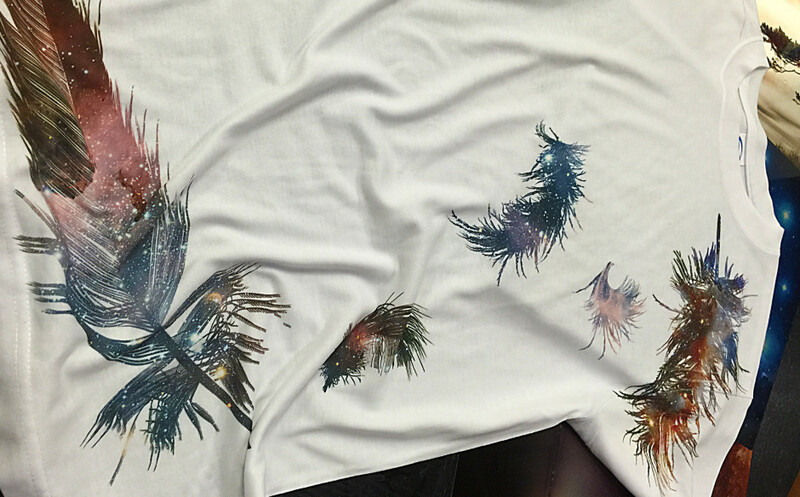 In fact, we can make custom all over shirt prints: any design, any photograph, any painting can become an all over shirt print! And then it dawned on us that we could make all manner of other things. Let’s rewind for a minute: what the heck is sublimation printing (or “dye sub” as it’s sometimes called)? It’s actually a pretty cool process, which, like most of the crazy technology that makes inkjet printing possible, is pretty phenomenal stuff (I mean, really? blood-cell sized droplets of ink precisely placed to create the illusion of continuous tone printing, somehow derived from pixels in a file, and output at speeds that you can watch and image appear before your eyes in minutes?). 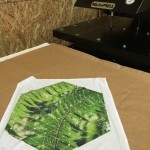 What makes dye sublimation different from regular ink jet (or, if you want to use that fancy marketing term, “giclée“)? 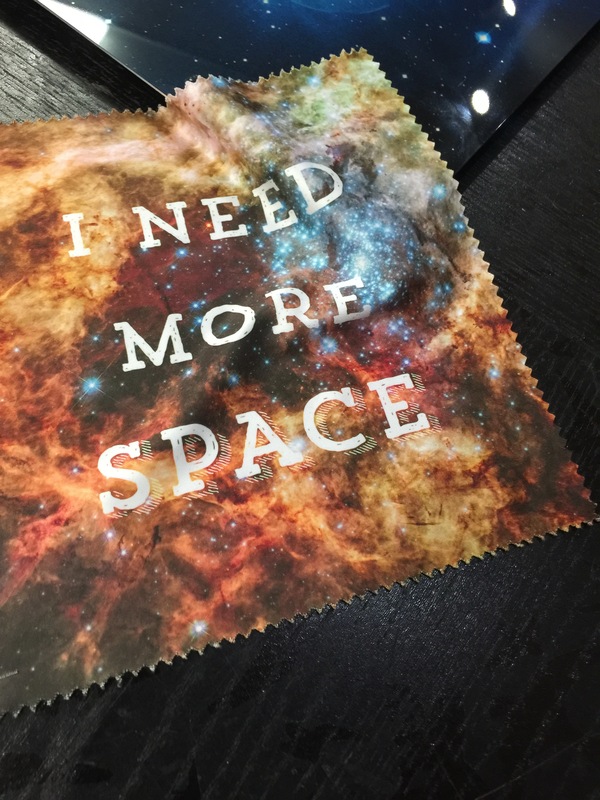 Well, it’s kind of a neat chemistry thing: we print the image using an inkjet printer with special dye inks, place that print on the surface to receive the image – like aluminum, or wood, or a t-shirt – and place the whole thing sandwiched together into a heat press that’s got a temperature of around 400º. Then the magic happens. The dye inks that are dried and basically a “solid” on the paper are super heated, and because of the high pressure of the heat press, actually jump right past the liquid stage and turn directly into a gas, which under that high pressure, infuses them directly into the coating on the metal or wood or directly into the fabric of the shirt. Pretty cool, huh? The catch is: all the metals or wood panels or coasters or mugs or whatever have to be coated with polyester. That’s the magic ingredient that receives the inks properly. So that also means polyester t-shirts, racing jerseys, skirts, etc. The good news is that polyester has come a long way and is no longer itchy and heavy…in fact there’s even a polyester “silk” that feels almost like the real thing. 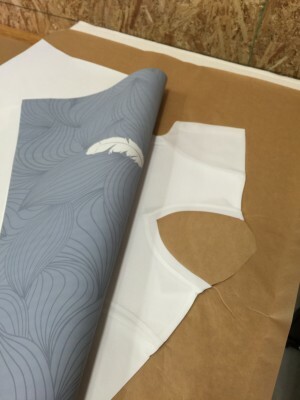 All of this means that custom printing just got a whole lot more diverse. We set out to make metal prints – which I’ll do a write-up on here shortly – and discovered a whole world of really cool things we can get your images on. Want a custom iPhone case with your favorite photo on it? Done. 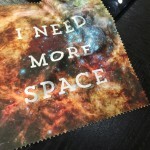 How about a lens cleaning cloth for your amazing lenses (or just for your glasses)? Done. 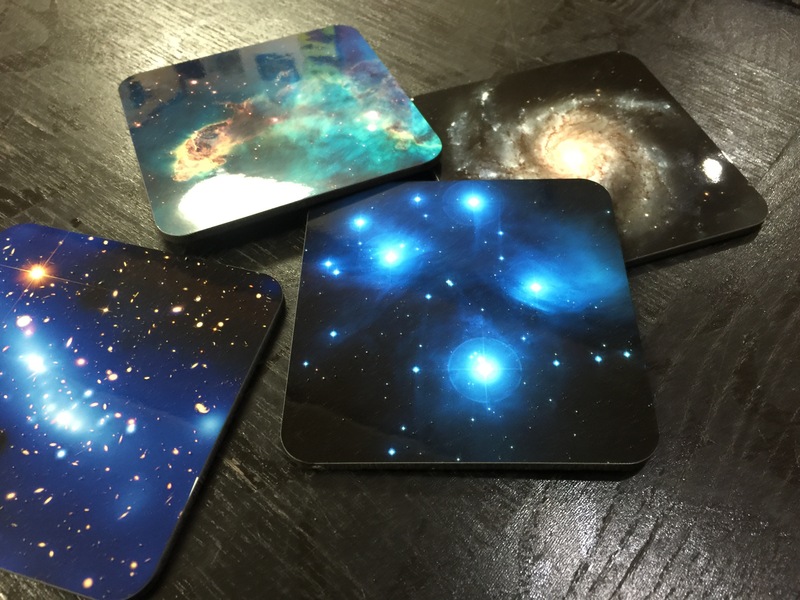 Testing more possibilities with Cosmic Coasters! In fact, we just had one of our favorite watercolorists order up 40 coasters this morning with one of her paintings of chickens, all excited to hand them out to her friends in California! Never saw that one coming. 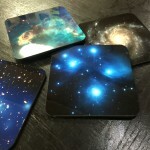 Coasters? Who knew? 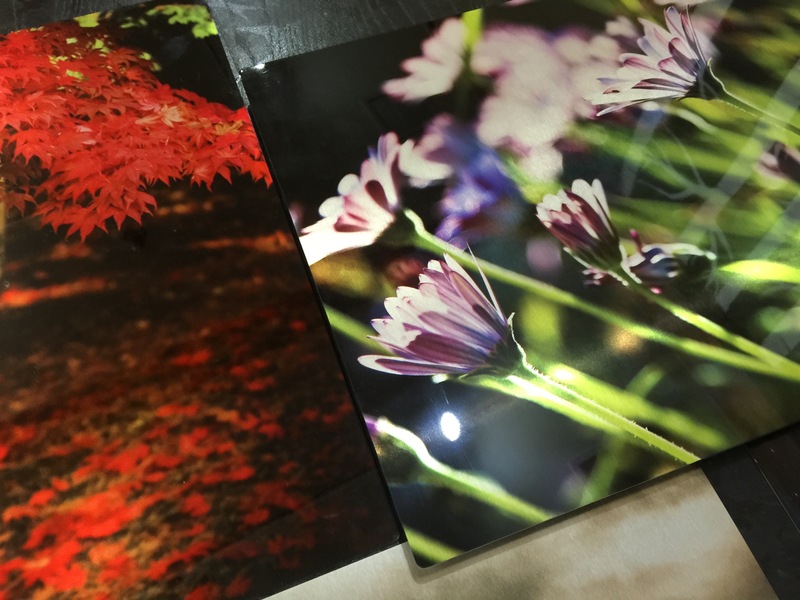 So, whether you want your amazing shot of a lifetime on a big shimmery metal panel, or a soft t-shirt with your favorite design…well, as we’ve said before: yeah, we do that, too!